Within walking distance from our place, you can visit famous archaeological sites and places and explore beaches of immeasurable beauty with crystal clear waters. We suggest you below some of them and provide you relevant information. Phaistos was the second largest Minoan City in South-Central Crete. Mythological the construction of Phaistos is connected with Mino’s brother, Rhadamanthus. His dynasty reigned in Phaistos. Another version said that Phaistos was founded by the son of Hercules. The first palaces were built around 1900 BC and destroyed around 1700 BC. Immediately after their destruction they ware build new even more imposing and more luxurious then before. 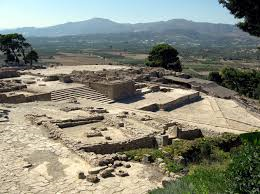 In the 15th century BC a new disaster flattened all the Minoan Neopalatial centers across Crete, included Phaistos. The view from an altitude of 100 meters will enchant you with the panoramic image and the imposing mountains of Psiloritis, Asterousia and Lasithi. Especially in the evening hours, the view is breathtaking. A popular destination for visitors of Crete is Matala. 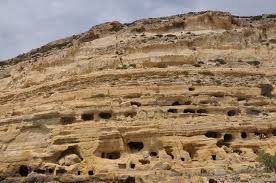 Matala became famous in the sixties, when the hippies arrived from all over the world to live in the caves of Matala situated on the beach. Here you can enjoy a swim or even exercise. For guests who love sports, there are sports facilities on the beach as well as activities for children. Finally, in there are additional facilities with first aid, toilets and showers. A small wetland was created by the crater of the source Votomos by the end of the 80s, just north of the village of Zaros, right at the base of the mountain. In 1987 they created a small artificial lake there with the interventions of the Forest Service. 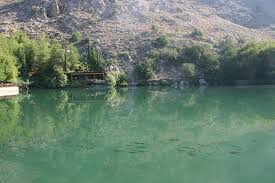 Nowadays the lake and the area around turned out to be one of the major forest recreation areas of the island. The lake, the green area, they attract visitors from all over the world. 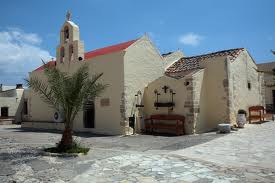 Agiofarango is located in the prefecture of Heraklion, between the Monastery of Odigitria and the village of Kali Limenes. 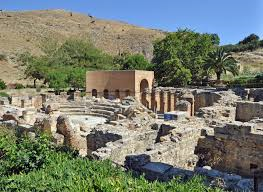 Agiofarago was the first center ascetic Bios from Crete and goes back to the first Christian period. The gorge was used by many hermits. They choose to live as ascetics in this isolated location, far away from the residential areas. This explains also the origin of the name ‘Agiafarango’. 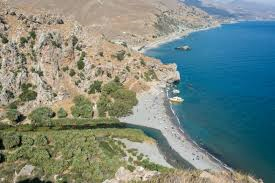 When you cross the gorge you will reach a beautiful beach overlooking the Libyan Sea.